Is my BootCamp-ed Windows seeing less VRAM than my Macbook (Pro, 13", mid-2014) actually has? If so, how can I make it see that it has more? So I've recently installed Windows on my mid-2014 Macbook Pro Retina 13" to play some games. I never expected super incredible performance in 3D games, but nevertheless I have been severely disappointed with it and I wonder if there's something wrong with my hardware or drivers. Games such as The Witness (a puzzle game in 3D with stylized graphics and no action) and Spec Ops: The Line (a shooter that wasn't super graphically flashy even when it was released, in 2012), barely even ran, and had to be configured with the absolute minimum graphics settings for them to reach 20—30fps. Same thing with Rocket League, a super accessible sports-racing hybrid that any half-decent budget machine can run decently. 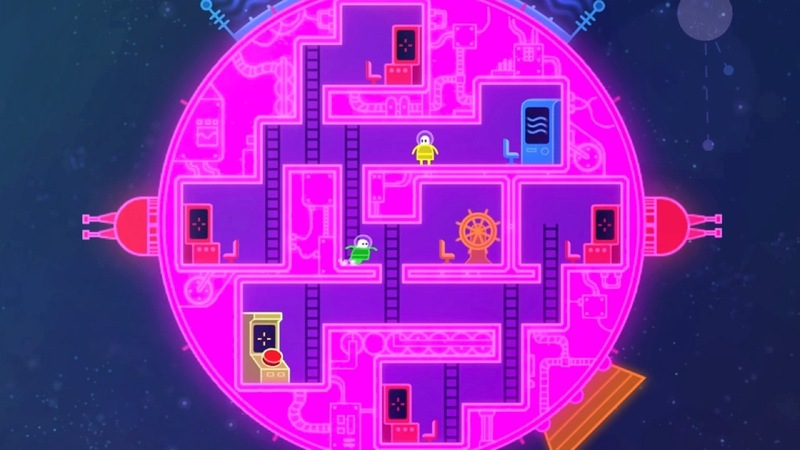 The worst, though, was Lovers in a Dangerous Spacetime, a flat 2D game — it ran more smoothly on my friend's much, much older and weaker non-Apple laptop. I had to lower my resolution for this. Knowing next to nothing about hardware, I did a bit of research and found out that my machine has Intel Iris Graphics and, most interestingly, that macOS dynamically allocates up to 1.5GB of system memory to the graphics card. However, when I was on Windows, I went into Can You Run It? and used its system diagnosis tools to test my specs against the minimum requirements for some games (nothing fancy, I didn't check against the new 2016 Doom game or even GTA V). Every result said that I didn't meet even the minimum requirements for the games (even for games that I had actually ran already) because, according to it, I only have 112.5 MB of available video RAM on Windows. So I'm thinking that that is actually the problem. Is this really all the memory I can have? Can Windows allocate more than 112.5 MB of RAM to graphics? I'm using Windows 10 with the Bootcamp-provided drivers. Didn't manually update a thing, for fear of breaking compatibility. Even if I'm completely off-track here and my entire line of reasoning is faulty, is there anything else I can do to eek more graphical performance from my machine under Bootcamped Windows? Windows can allocate as much video memory as the driver allows. So the problem is not really with Windows, but the driver that Apple provides for that system. Yes Apple wrote the Windows driver for bootcamp on your Mac. I don't have specific experiences with this but I have heard of people going directly to the manufacturers web site and downloading the drivers for the specific version of Windows and the graphics card in your Mac. Often this will work for other system hardware as well. The worst that should happen is that you'll have to boot into safe mode to remove the driver, assuming you can find it on Intel's web site and get it to install. First of all, for the benefit of everyone reading this, VRAM (Video RAM) is a physical part of the hardware. It is basically the RAM used by the graphics card. Dedicated graphics cards have their own special VRAM (often referred to as GGDR5), however any type of RAM can be used, including the RAM in your computer. Your MacBook Pro only has an Intel Iris 5100 graphics processor that shares memory with the system. In your case, the amount can be as high as 1.5GB. Windows 10 will manage the amount of VRAM available, however how well it does that will depend on the drivers installed. Did you update your graphics drivers on your Windows partition? Are you using the correct drivers for the Intel Iris 5100 graphics processor on Windows 10? Keep the power cable plugged in. Turn your computer back on with the power button. For the latest Windows drivers for the Intel Iris Graphics 5100 visit this page. Just wanted to try and address some of the questions/concerns based on the OP's comments. 1. VRAM - The amount of memory available for the Intel Iris Graphics 5100 is dependent on non-Intel-controlled factors such as the available system memory, BIOS/EFI , system settings, etc. These factors are used by Windows 10 to determine how much of your system memory will be allocated. 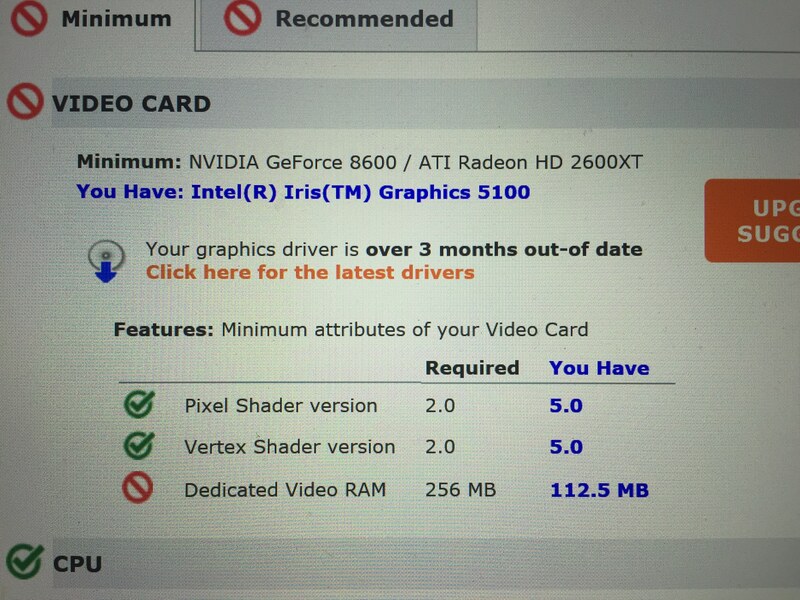 However, the absolute maximum that can be allocated to this particular graphics card is 2048MB. Anything telling you that it's being allocated more is wrong. Option 1 - Use the Apple Software Update for Windows to install any available driver updates for Windows 10. However, it doesn't always work well and I've read that some drivers are not available via this method. Also, you may need to be patient for it to update any necessary drivers as it can take hours. Because of these reasons, the next approach is often used. Option 2 - Use one of the many utilities that enable you to update drivers for Windows installations. Driver Talent is one of these utilities and it can help repair any Mac drivers that are corrupted or damaged. It will also download and install any Windows 10 Mac drivers that are missing or outdated. Note there are both free and pro versions available. NOTE: I have no affiliation whatsoever with the Driver Talent software. I mention it only because I have seen it resolve issues with Windows Bootcamp installations. Not the answer you're looking for? Browse other questions tagged bootcamp windows memory performance graphics . Graphics capabilities of MacBook Pro? Why are Mac requirements for games so much higher than Windows?